Next-owned clothes brand Lipsy is creating a customer rewards initiative to push its new autumn/winter collection, designed by British singer Pixie Lott. The rewards scheme will offer the opportunity to win thousands of prizes and was created by digital agency Lucid Online. 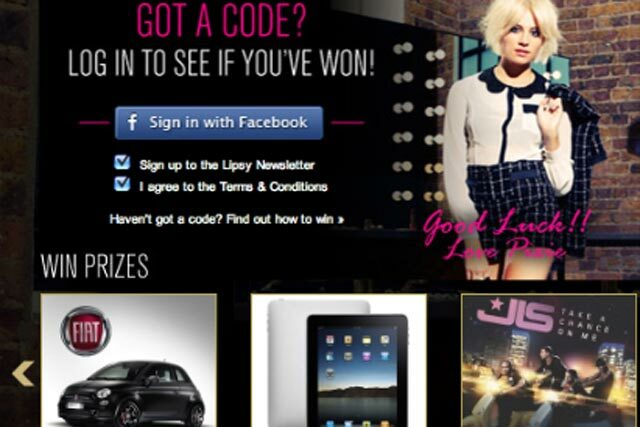 Golden tickets will be on offer when buying Lipsy products online and in-store, giving fans the chance to win prizes including a Fiat 500, iPads and VIP meet-and-greets with pop group JLS. A Facebook application offers people the chance to send three friends their codes, to offer them the chance to enter the competition themselves. Mike Dowuona, Lucid Online's managing director, said: "When planning the next phase of activity with Lipsy, it was important for social recommendation to be at the heart of the promotion. "The strength of this campaign lies in its highly targeted and organic approach, which has proven to be a winning factor exhibited in the powerful, social, word-of-mouth spread of the previous collections." The latest ‘Pixie for Lipsy’ collection is the fourth range Lott has co-designed for the Lipsy brand.